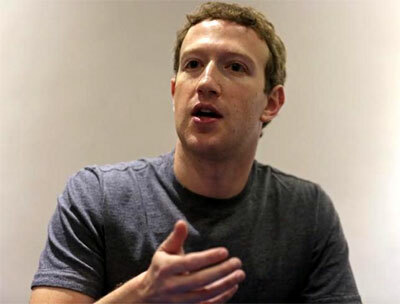 Rediff.com » Business » Zuckerberg's new challenge: An artificially intelligent butler! Zuckerberg's new challenge: An artificially intelligent butler! Facebook founder Mark Zuckerberg has said he wants to build an artificially intelligent butler like Jarvis in hit Hollywood sci-fi movie Iron Man to help run his home and assist him at work as part of the tech billionaire's ‘personal challenge’ for 2016. Zuckerberg, 31, who commits to a new personal challenge every year, said in a Facebook post on Sunday that the "simple AI" would look like Jarvis from Hollywood blockbuster film Iron Man, referring to the AI (artificial intelligence) butler. "My personal challenge for 2016 is to build a simple AI to run my home and help me with my work. You can think of it kind of like Jarvis in Iron Man," Zuckerberg wrote. He said he would start to build the AI with technology that is already available and teach it to understand his voice to control everything in his home from music and lights to temperature. "This should be a fun intellectual challenge to code this for myself. I'll teach it to let friends in by looking at their faces when they ring the doorbell," Zuckerberg posted. "I'll teach it to let me know if anything is going on in Max's (his daughter's) room that I need to check on when I'm not with her," he wrote. Zuckerberg said the system would help him visualise data in virtual reality and help him build better services, besides leading his company. The tech billionaire said a part of the motivation behind this year's challenge was the reward of building things yourself. Zuckerberg's previous personal challenges have included learning Mandarin, reading two books a month and meeting a new person everyday. His wife Priscilla Chan is a Chinese. "Every year, I take on a personal challenge to learn new things and grow outside my work at Facebook. The theme for his challenge this year is invention," he posted. Noting that he spends a lot of time at Facebook working with engineers to build new things, Zuckerberg said some of the "most rewarding work involves getting deep into the details of technical projects." Last month Zuckerberg made headlines for plans to donate 99 per cent of his stake in Facebook. He had to defend his philanthropic venture - launched to celebrate the birth of his daughter - after critics argued that it could provide a way for him to avoid paying tax on the sale of his shares.